Boo is with Buddy now. This pooch doesn't look real. RIP. I think they're all cute. Is that Boo in the picture? Very sweet. Awww...RIP, little Boo. You are loved. He was a super duper internet celeb!!! 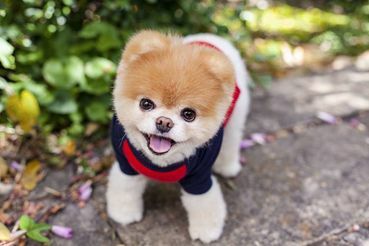 Such a sweet adorable dog. R.I P Boo. RIP, Boo. Thanks, Sweetie for the post. Rest in Peace precious Boo! Run Free ~ Play hard ~ and chase those butterflies with Buddy now.